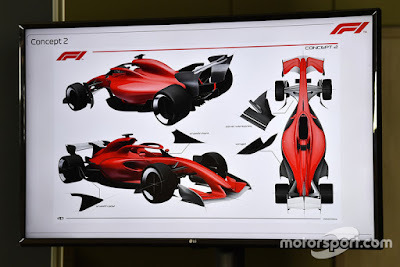 Is this the future F1 racing car concepts? 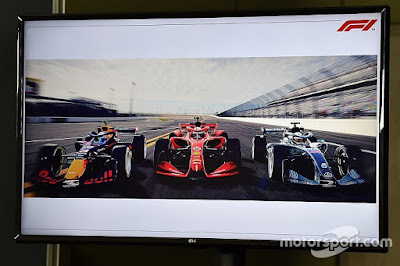 Not only the concept of a new conventional vehicle that can be leaked in cyberspace, the concept of Formula 1 (F1) racing car can also spread on social networks prematurely. 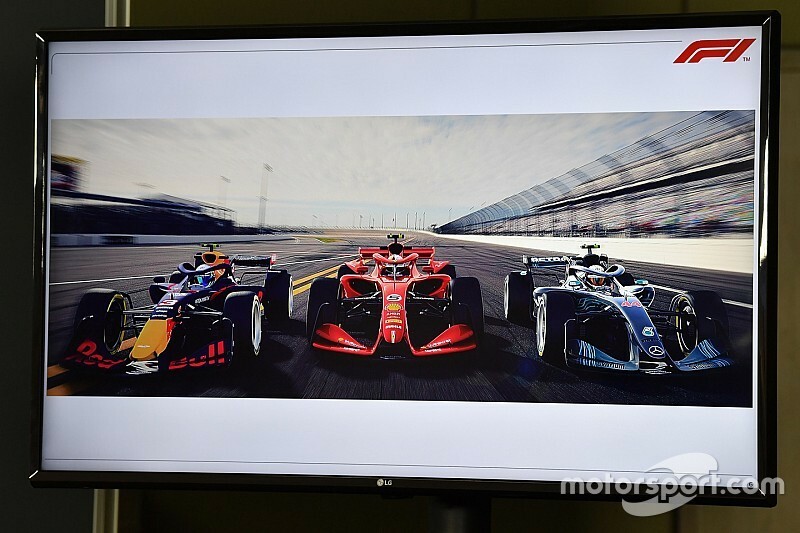 This is evident from the wide circulation of the concept of the 'land jet' display that will be used in the 2021 season. 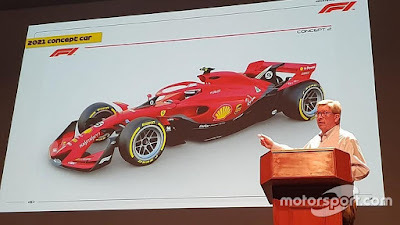 As quoted of Motorsport.com, on Saturday, September 15, 2018, the leaked of the F1 racing car concept occurred when Managing Director of F1 Motorsport, Ross Brawn, conveyed his ideas about the F1 2021 racing car at the Tech Talk seminar held in Singapore recently. Although the seminar was closed, it turned out that the image of the concept car was widely circulated in various social medias. The design of the new racing car emerged after the F1 plan to stabilize the change in the car in 2021. 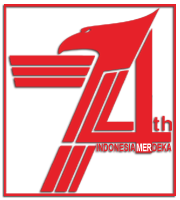 This is to achieve a more attractive race for fans. From the pictures in circulation, seen Ferrari cars with some design changes from the current model. 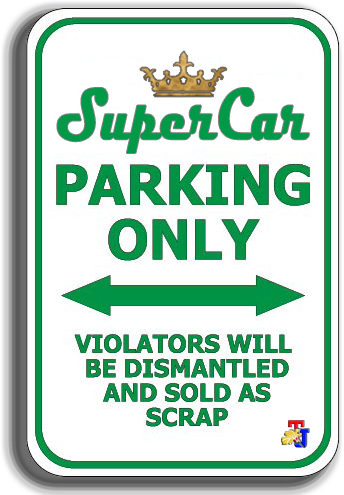 Including, 18-inch wheels that will be applied in the future. 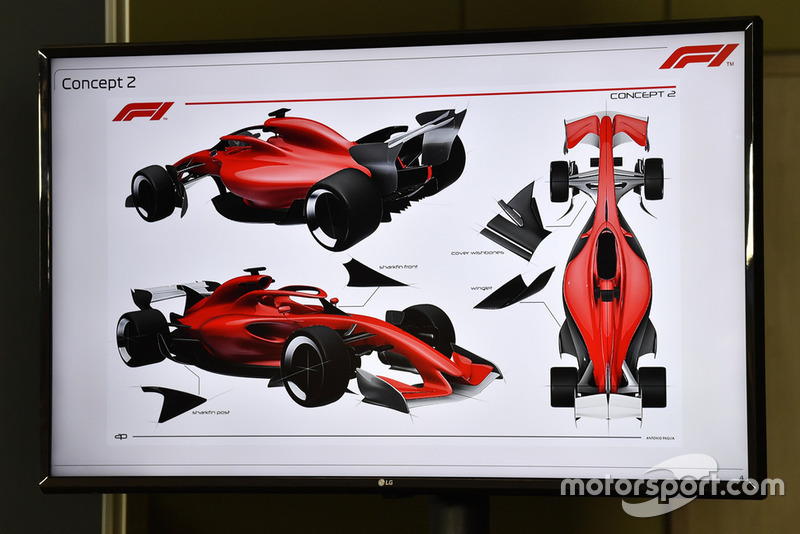 For the front wing also looks simpler, with an endplate that rises. 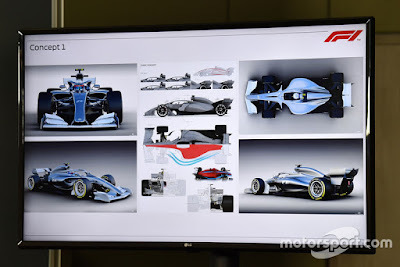 The sidepod bodywork is also not as aggressive today, with the hood and rear wing being one part. Still unknown, whether this section is extended DRS. 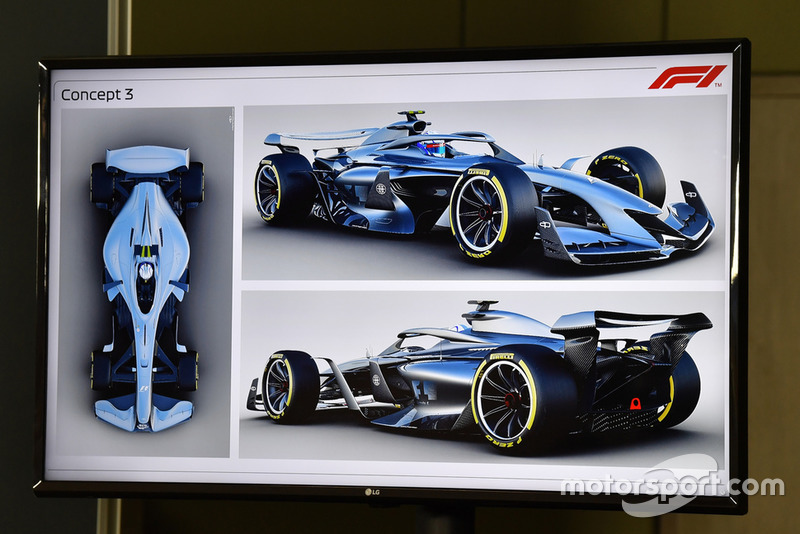 Brawn himself expressed his desire to eliminate overtaking aids, and the rear wing endplate that appeared to cover the rear tire, which could be a safe step to avoid the car sliding to the top during an accident.